See the positive results of positive reinforcement. When you watch a teacher with great classroom management techniques, it can feel like magic. The truth is that classroom management can be learned. Reading about classroom management, asking other teachers what they do, and even talking with your principal about what they have observed can help. 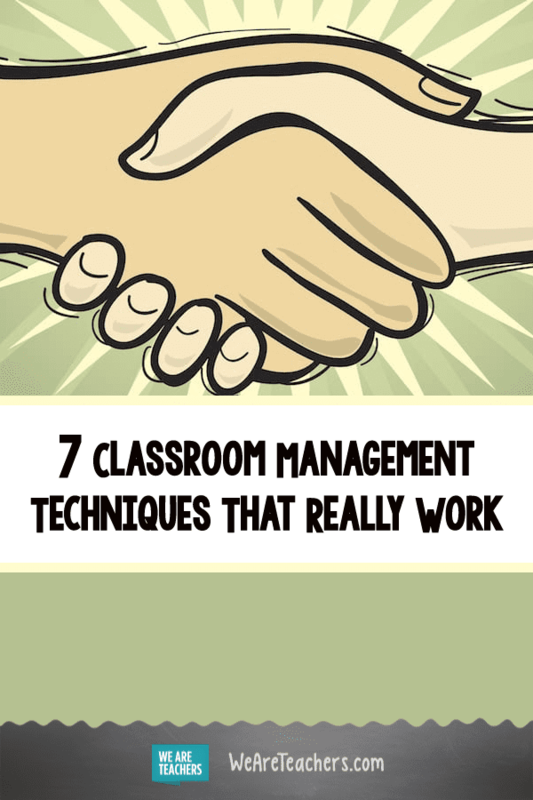 Here are seven things to consider in your quest for classroom management excellence. This is hands down the most effective classroom management technique. When a student trusts their teacher, they make more of an effort to follow the rules. When teachers make an effort to get to know each student on a more personal basis, they get more out of their teaching experience as well. Each class should feel more like a family. If you don’t know how to pronounce each child’s name correctly, use sarcasm regularly, and make students feel dumb for asking questions, you need to change those behaviors first. See more tips for building student relationships here. Another important classroom management technique is the positive phone call home. It’s very easy to get into the habit of calling home only when there is an issue to report. While these calls are necessary and worthwhile, calls home for celebration are equally, if not more, important. Every parent wants to hear positive news about their child, and this reinforcement almost always makes its way back to the student. Try to make one positive call to a different student’s home every single day, even if it’s simply to report on a nice comment a kid made in class. This means so much to parents and students and usually translates to positive classroom behavior as well. Still not convinced? See seven reasons why positive parent calls work so well. Show students that you value the work they put into learning. Identify milestones in the work everyone is accomplishing each day. Once a week, choose one particularly hardworking team or student to share their story. Let the class ask them how they accomplished the work. What a valuable lesson kids learn when they hear peers talking about what hard work means to them. Kids who know their work will be celebrated instead of just their grades will pay more attention and stay focused. 4. Maintain authority all year long. You meant it when you started the year, but it’s easy to relax a bit as the year moves along. When you tell kids to stop talking and get back to work but you don’t follow through, you tell them it doesn’t matter that much. This can lead to teachers raising their voices and saying things they regret. You don’t have to be mean, you just have to mean it. So make a list of rules that are effective and really matter to you and then share them with your students. Post them visibly and refer to them often. 5. Make sure that students know what your rules mean. Just because you’ve stated them, shared them, and posted them, doesn’t mean students know what they mean. Your version of no talking might be different from theirs. Human beings talk for lots of reasons, so keep your expectations appropriate. It might even be okay to joke around a bit as long as a student is staying focused on the task at hand. Some teachers find great success with acting out ways of talking that are effective. Make sure every one of your students is able to learn the way you plan to teach. This means reviewing IEP and 504 plans and taking notes on the recommendations so you can take them into account. Share your fears and concerns with the special ed team. So many classroom management challenges can be averted by considering and planning for the needs in your classroom. Make it a point to share the individual accommodation with each student affected so they know there’s a plan too. Understanding procedures and consequences may be just what a child with a behavior problem needs in order to feel more in control of their impulses. Remember to design lessons that challenge everyone in the way they need to be challenged. Even if you aren’t required to submit lesson plans, it doesn’t mean you shouldn’t do them. There’s a lot to manage throughout the day, and not knowing what you are supposed to be teaching can easily destroy a good day. Develop plans that work for your teaching style, accommodate all learners, go along with curriculum standards, and pique the curiosity of your students. It may sound daunting, but the more you do it, the better you’ll get. A well-planned day can make the difference between tired and flat-out exhausted. 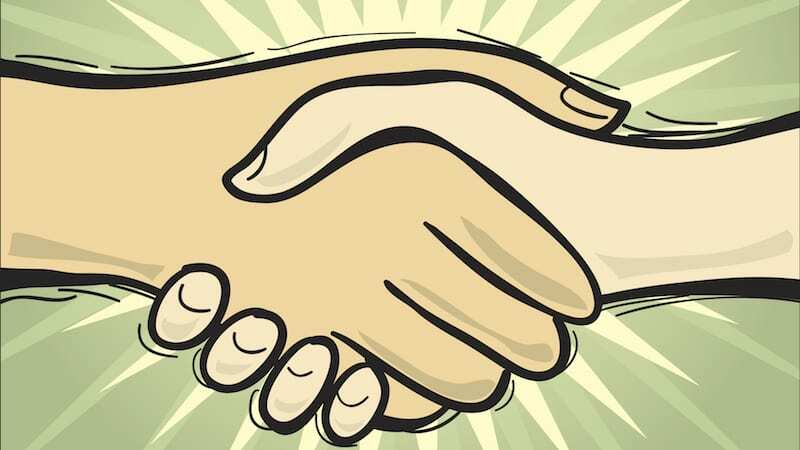 In order to really manage your classroom well, you need to be able to sell your classroom. You aren’t just a teacher, you’re a performer and a marketer. When kids feel your passion and know where the learning is headed, they’ll be pumped to rise to the occasion. Each year can be the year that the students in your class never forget. We’d love to hear—what are your favorite classroom management techniques? Come share in our WeAreTeachers HELPLINE group on Facebook. Plus, classroom management techniques we learned from Mary Poppins. This is a well-curated post I must say. The tips are sure to be really helpful in classroom. Looking forward to more.